The Caatinga Howler Monkey (Alouatta ululata) is an Endangered (IUCN, 2008) primate and probably the least known howler monkey in the world. Poaching and habitat loss are the main threats to the species. Our long term goal is to promote population recovery along its original geographical range through habitat conservation and community involvement. The objectives of this proposal are: identify and evaluate pressing conservation issues concerning the species; estimate its present range; and better understand its habitat requirements in order to produce a community-based conservation plan. 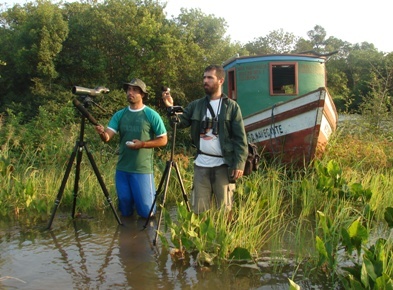 The methods to achieve these objectives are field surveys and interviews with local people.